A view reserved for the return journey home in the evening. 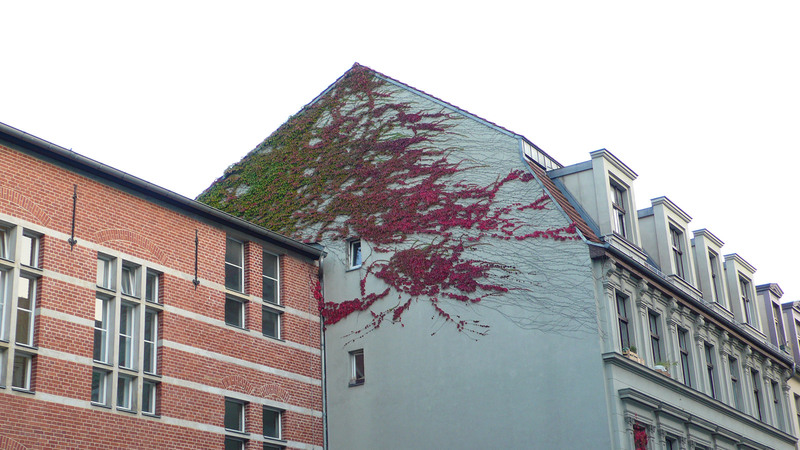 The creeping plant on this wall is a kind of seasonal barometer, captured here between summer and autumn. The colour-blend from green to red traces the sun’s trajectory across the sky on this north-facing wall on Gormannstraße. In winter, the plant sheds its leaves, and the branches resemble an epic crack in the plaster.